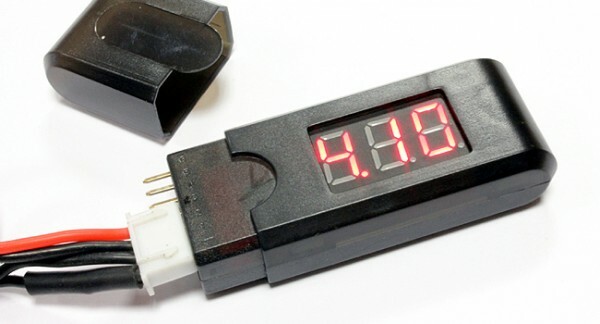 7-Segment display battery status indicator for 2S to 6S (7.4 - 22.2V) with hard-case. 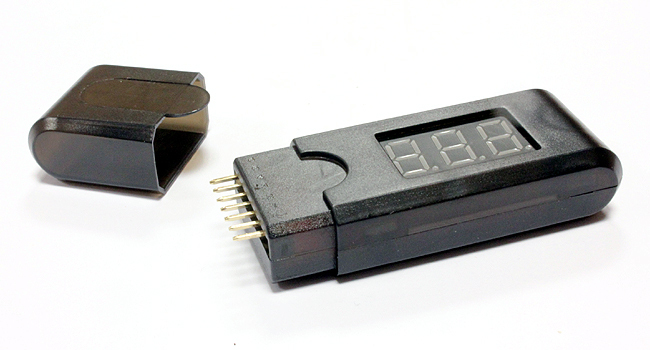 Same tester as above, but in hard plastic case to protect it in the toolkit. Also has clip-on cap to protect the pins.